The Yorkshire Wolds lie to the east of God’s Own County and are often overshadowed by the Yorkshire Dales or Moors. Indeed The Yorkshire Wolds Way is, arguably, one of the least well known National Walking Trails in Britain. It is 79 miles – or one week – of tranquil, isolated villages in the midst of beautiful Yorkshire countryside. The trail starts at its most southern point in Hessle, at the foot of the Humber Bridge, heads north and then ends in the seaside town of Filey. Whether you decide to walk the Way, or just visit the villages on the trail, you can be sure that the Wolds will leave a life-long impression. Here are the top 10 places to visit.. 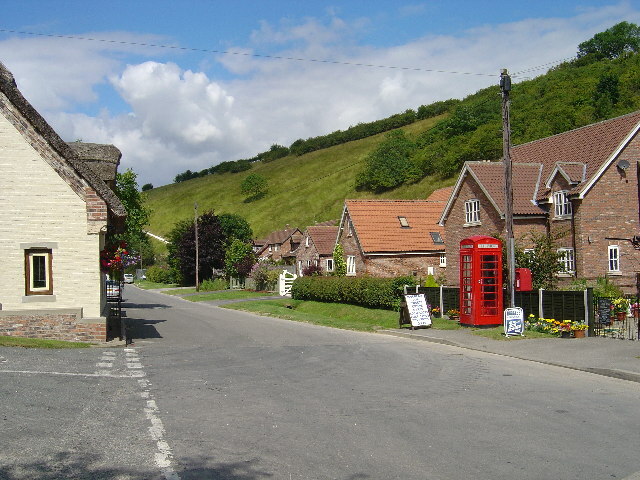 This village, in the East Riding of Yorkshire, is at the start of the National Walking Trail. The trail starts from the bank of the Humber estuary before progressing into the heart of the Yorkshire Wolds. Welton offers great views of the famous Humber Bridge – which was once the longest single-span suspension bridge when it was built in 1981 – at one mile long. Once you’ve taken some photos of the bridge, you can then head off for a nice, refreshing glass of wine at a nearby winery. The village is very well known for its wine tasting, as there are several Yorkshire vineyards in the area – yum. This village is situated 14 miles to the west of Hull City Centre on the way to the market town of Market Weighton. If you get tired of walking, simply hop on a Penny Farthing and cycle your way through some of the Wolds. There are a few Penny Farthing clubs in the area where you can visit these antique ‘high bikes’ – and perhaps even be allowed to ride one. Or, if you’re lucky, you might stumble across a Penny Farthing club event where experts in the area race the bikes for fun and you can just spectate. Speaking of racing, there is a unique event that occurs at the village of Kiplingcotes – which is 3.5 miles north-east of Market Weighton – every third Thursday in March, without fail. It is the oldest horse race in Britain, and runs across 4 miles of the Wolds majestic countryside, every year since it began in 1519. Anyone can enter the race and, whether you’re competing or simply spectating, it makes for an excellent day out. The Yorkshire countryside just gets better as you head further and further into the Wolds. Situated a couple of miles north-east of Pocklington lies the village of Millington. You might think that the stunning, vast landscapes surrounding this village look like they have stepped out from a painting – and that’s because they have. One of Yorkshire’s most famous painters, David Hockney, used the rolling hills of the Wolds as subjects for his paintings numerous times. The Wolds are described as ‘David Hockney’s playground’ as stepping through them is essentially like stepping through works of art. Millington, in particular, is the subject for one of Hockney’s most memorable paintings: ‘A Larger Valley’. Although visitors often say that the real thing is much more impressive. There are several pretty churches around the Wolds, but one of the prettiest is St. James’ Church in Nunburnholme. This village lies approximately 3 miles east of Pocklington and is a popular stop on the Wolds Way walking trail. St. James’ church is full of history; it was built in the 13th century and had a very famous vicar between 1854 and 1893 called Reverend Morris. Reverend Morris used to study the wildlife around the area and produced a definitive guide during his time as vicar called ‘A History of British Birds’. With its Early English architecture, and buzzing wildlife, St James’ church is definitely worth a visit. If you have time, you can make a short detour just off the Wolds Way – around 4 miles north of Bridlington – and head to Bempton. Bempton is well known for their famous 350-feet-high chalk cliffs. The best way to see the cliffs is by taking the Yorkshire Belle out to sea on the RSPB boat trip. However, if you’re not really into boats, you can simply walk along the cliff top where you can spot more than 250,000 birds in their peak time of May – hence why Bempton is called ‘Sea Bird City’.